The nation’s largest nonprofits had continued revenue growth last year not only from increased giving from the public but also fees and revenue derived from their programs. The ups-and-downs of the stock market knocked around some portfolios but nonprofits generally still were in the black when it came to gains. 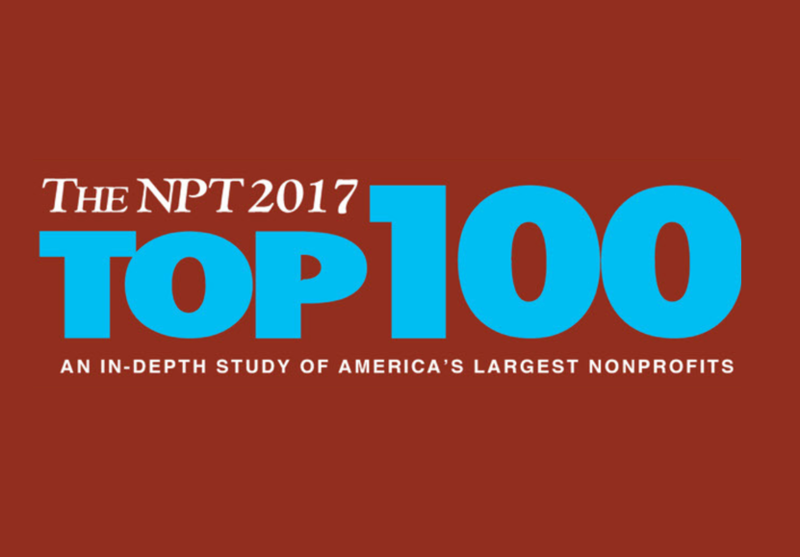 Revenue for the organizations in the 2017 NPT 100 — the 29th annual survey of the largest nonprofits in the United States that receive 10 percent of income from public support — totaled $77.175 billion, almost 4.5 percent more than 2015. Public support was up a healthy 5.7 percent, to $43.679 billion, mirroring early estimates by Giving USA. The largest growth came in program service revenue, up 9.4 percent to $20 billion. Public support comprised 56.6 percent of all revenue for the 100 organizations last year, compared with 55.2 percent in the previous year. Program service revenue registered at 25.9 percent of revenue, up from 24.4 percent in 2015. That means that 82.5 cents of every dollar for these 100 organizations was from either public support or program services. “We see all sorts of support increased,” said Daniel Romano, National Partner-In-Charge, Not-for-Profit Tax Services, for Grant Thornton LLP, which helps The NonProfit Times compile and analyze tax data for the annual NPT 100. He expects that foundation and corporate support in particular will continue that trend. “There’s a big movement in CSR (Corporate Social Responsibility) programs. Companies are recognizing that they have a responsibility to give back to communities, either through direct programs or partnering with charities, working with them or providing grants,” Romano said. Two categories — investment income and other revenue — were on the positive side last year but did not reach levels of the previous year, although they don’t account for nearly as much of overall revenue. Investment income was down 18 percent to $2.274 billion and other revenue declined by almost 19 percent to $2.372 billion for these 100 organizations. Investment income, as well as program revenue, continued positive trends. In the years after the recession, investment income was in the red for many organizations before a turnaround in recent years. Although aggregate investment income for the 100 organizations did not match the previous year’s total, only about a half-dozen nonprofits reported investment income losses in 2016. It’s the third straight year of increases in aggregate program service revenue for NPT 100 organizations. Nonprofit managers have opened their eyes to see the importance — whether through fees or contracts considered program, Romano said. The second year in a row of a stumbling stock market led to a big decrease in investment income among organizations, according to Romano, although the market already started to swing back at the end of 2016 and has done well so far in 2017. He expects there could be a boost in giving at the end of this year due to the rising stock market coupled with philanthropic response to hurricanes the past few months. Individual giving might be impacted going forward, beyond 2017, as Congress takes up tax reform and there are fears of losing the charitable deduction or limiting or eliminating certain deductions. The market has more of a correlation to giving than tax reform, Romano said. On the expenses side, just as every business has seen costs increase, so have nonprofits, Romano said. Total expenses were $75.267 billion in the aggregate, with $65.79 billion classified as program, about 87 percent, and $5.86 billion as administration and management, almost 8 percent. Fundraising expenses for the 100 organizations tallied about $3.615 billion, which accounts for less than 5 percent of all expenses, likely an influence of so many in-kind nonprofits on the list. “It shows that endowments come in handy,” he said, to supplement expenses and avoid big swings in assets. While some in Congress have argued that endowments are getting too big, Romano said it’s prudent. “We don’t always have those gains year-over-year. A prudent organization needs to maintain an endowment to manage wild spreads,” he said. It’s important to try to offset big losses in different ways, and some organizations might turn to other revenue streams, such as program service. Returns might be down of late but the value of endowments is up a little, he added. Among the largest jumps in total revenue were seen at Americares and Catholic Relief Services (CRS), both up 27 percent and eclipsing $900 million. CRS was among the nonprofits that responded to the Ethiopian drought last year, which accounted for the majority of its increase, primarily through noncash contributions and government grants for food commodities. • Good Days (formerly Chronic Disease Fund), $172 million. Pew Charitable Trusts had the largest jump in revenue of any organization compared to the previous year, more than doubling from $331 million to $710 million. Pew received two large gifts, comprised mainly of donated securities, which made up the majority of the increase, according to a spokeswoman. One of the gifts was a contribution to a donor-advised fund that was established with a charitable gift. The Philadelphia, Pa.-based organization reported $338 million in donated securities from 149 gifts compared with five gifts in 2014 valued at $3.3 million. Also seeing one of the biggest jumps in the past year was Conservation International (CI), which eclipsed $200 million last year, reporting $207 million in revenue, up from $162 million in the previous year. In recent years, the Arlington, Va.-based charity has seen revenue range from $96 million (2013) to $240 million (2008). CI also saw a spike in donated securities, up from almost $7 million in 2015 to more than $30 million last year. The contributions were part of a five-year, $1.3-billion campaign launched more than two years ago, according to Chief Financial Officer Barbara DiPietro. “It’s not a campaign in the sense of construction or underwriting specific projects but more a campaign to generate operating budget over a five-year period. It started to take off and build momentum,” she said, adding that donating securities can be more attractive for donors as the stock market improves. Conservation International isn’t like World Wildlife Fund or The Nature Conservancy that have a large membership to rely on but instead is funded by a small group of large donors. “Because our name is not as visible as some nonprofits we work with, it’s not a huge donor base. We’re working on trying to broaden the funding base and diversify revenue,” Di- Pietro said. Part of broadening the fundraising capacity will include some big initiatives around climate change, population, and destruction of habitats. Funding comes from a mix of foundation, corporate and public support, according to DiPietro, with fee for services from governments to support climate work. Program service revenue jumped from $4 million to more than $13 million because of its work with some corporations and European and development banks. “Because of the nature of agreements, it’s less a contribution and more a contract. What we do coincides with what they need, as opposed to grants,” she said. CI is scaling back on fundraising events, from about three per year to just one. “It just takes a lot of staff time, we felt our efforts would be more productive elsewhere. That’s not to say we’ll always do that,” she said. Unlike the peaks and valleys for some nonprofits in the NPT 100, Make-A-Wish Foundation has grown steadily over the past several years. When Paul Mehlhorn started as chief financial officer at the Phoenix, Ariz., headquarters in 2009, he was told direct mail was a dinosaur that probably would be gone in five or six years. Last year, the national office exceeded direct mail revenue by several million dollars than it raised in 2009. “It looks to me like a program that can stay very strong for the next 10 to 15 years,” he said. Just a few years ago, Make-A-Wish had a 3:1 ratio of direct mail to online giving. Direct mail revenue was about $15.3 million last year compared with $13.9 million in 2009. At the same time, online giving has grown from $5.3 million in 2009 to $15 million last year as fundraisers focused online more than direct mail. The organization is averaging almost double-digit growth in online giving during the past five years, according to Mehlhorn, and some that is thanks to direct mail. Next year, they’re aiming for more than $17 million in online giving. While the foundation is investing more in its online programs, like targeted marketing and remarketing, direct mail also is contributing to some extent. Some direct mail recipients will get a mailing and go online to make their gift, he said. “We continue to increase our investment in online giving, however we are reconsidering our approach to direct mail and may increase our investment for direct mail in future years,” Mehlhorn said. “As you get past the low-hanging fruit, [online] becomes almost as costly as direct mail. Unless you enlarge your donor pool, you’re going to be spending about the same,” he said. While organizations are starting to see a shift from direct mail attributed donations to online, it doesn’t mean direct mail is dead, according to Steve MacLaughlin, vice president, data and analytics, at Blackbaud, a Charleston, S.C.-based fundraising technology firm. Online giving is still less than 10 percent of all charitable giving, but it continues to grow each year, he said, adding that online retail sales are about 8 percent of all retail sales. 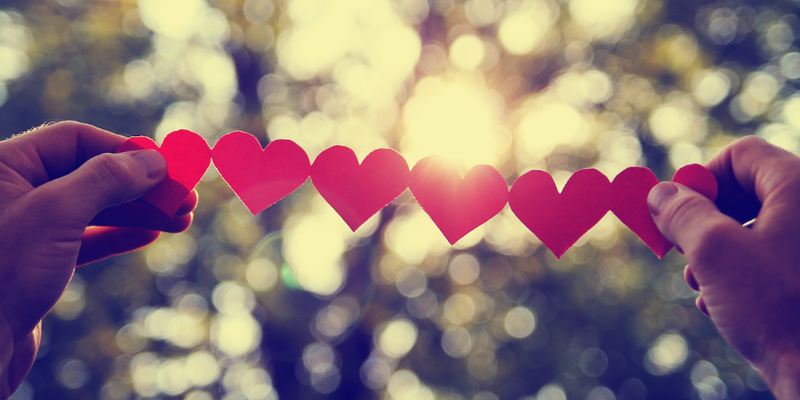 Nonprofits should not confuse the channel of engagement with the channel of transaction. In the old days, you sent a direct mail piece and a gift came back in the mail. The channel of engagement and the channel of transaction were the same. Today, a donor might get a direct mail piece and then go online to give, or they might get an email, see something on a mobile device, and give offline. “The important thing for nonprofits is to understand and fine-tune their channel mix,” MacLaughlin said. Make-A-Wish also has seen fairly significant growth in planned giving. 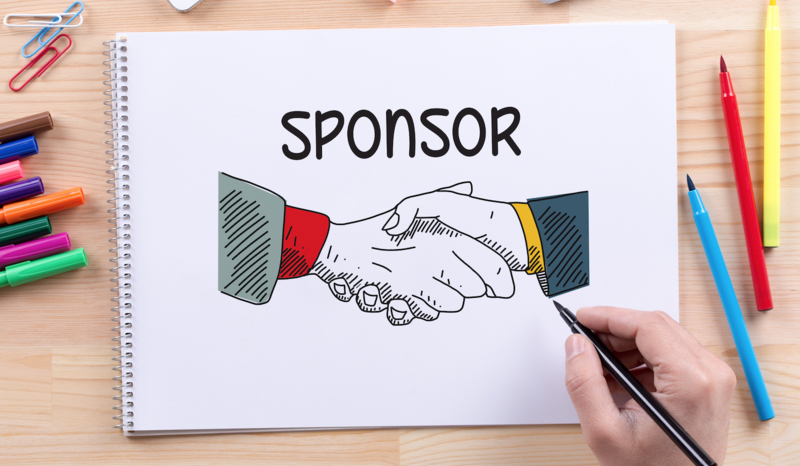 “You can do a lot of planned giving advertising but most of your donors come out of your direct mail or online giving platforms; it ends up being a feeder program,” Mehlhorn said. “Generally you don’t know it’s coming until it shows up but there’s a very high correlation between how they found you and whether they’re on your direct mail or online program,” he said. Planned giving at the national office has grown from about $2 million to $6 million in the past four years, according to Mehlhorn. That’s a combination of a direct mail program that started about 15 years ago, and an active online program that’s been promoting planned giving for several years, he said. “Planned giving is something that if you advertise today, you might see something six or seven years from now. I think we’re in the lifecycle of advertising we did eight to 10 years ago, starting to end up with results on the planned giving side,” he said. One of few areas where Make-A-Wish has seen revenue trending down is workplace giving and federated campaigns. “Those programs seem to be plateauing, in some cases declining,” Mehlhorn said. The cost associated with coordinating a wish varies depending on the type but as of 2016, the average cost was $10,130, according to the organization. Make-A-Wish wasn’t the only nonprofit in the NPT 100 to see steady growth during the past few years. The Houston Food Bank has seen revenue rise, from $178 million in 2015 to $196 million last year. It’s likely to continue the upward trend due to contributions for Hurricane Harvey, which struck the region two months ago. That revenue won’t be reported for another two years as the August hurricane that flooded much of the Houston region fell at the start of the food bank’s fiscal year (July 2017 to June 2018). Next year’s NPT 100 will cover the fiscal year that ended June 2017. The recent growth is the result of a $6.5-million capital campaign across three fiscal years in addition to typical increases it aims for each year. The campaign to build a new kitchen was launched in September 2015, running through 2016, before culminating in February 2017. Contributions to the capital campaign were mostly recorded in 2015 and 2016 but some were also collected in 2017. About $2 million for the campaign was received this year and $3 million in the previous year, according to Chief Financial Officer Klaudia Brace. The previous capital campaign, spanning 2007 to 2011, raised $56 million to purchase the current facility. The food bank moved into the 308,000-square-foot facility in 2011 and within two years was the largest in the country, in terms of efficiency and size, according to Brace. About 10,000 square feet of the warehouse facility was converted into a kitchen. “When this building was renovated a few years ago, the idea was to make it a destination for volunteers,” Brace said. “We get a lot of school groups that come to volunteer and a lot of corporations are donating as well,” she said during a telephone interview in August. The volunteer space can handle 100 to 200 volunteers per shift, which appeals to companies who need to bring in a department of employees that might be upward of 200 people. The food bank has been growing steadily in recent years, including about 6 percent in the past year, roughly $19 million in revenue for operations while the campaign was about $3 million to $4 million more than a typical year, according to Brace. Of the $6.5 million raised for the kitchen campaign, 33 percent was from individuals, 32 percent from foundations and 19 percent from corporations. The final 16 percent was derived from New Market Tax Credits. Contributions were through various channels, including direct mail and online but corporate support is more significant at the food bank. Nationally, corporate support tends to be about 5 percent but for the food bank it’s usually more like 17 percent of revenue, Brace said. A member of the Feeding America network, Houston Food Bank received about $33 million in noncash assistance — a.k.a., value of donated food — from the Chicago-based national organization the past two years, about 10 to 20 percent more than in previous years. Government grants, also in the form of donated food, was up from $152 million to about $165 million. As a member of Feeding America (also another NPT 100 organization), the Houston Food Bank pays dues to the Chicago-based headquarters and through that relationship, secures donated food and works with national donors, Brace said. Part of that relationship includes cause marketing arrangements as well, she added. Brace expects 2017 will look at little higher than last year’s total because of the end of the campaign. She expected 3 to 4 percent growth for 2017, a little more than $18 million for the food bank’s operating budget — but that was before Hurricane Harvey. To access the 2017 NPT 100, click here (.pdf).